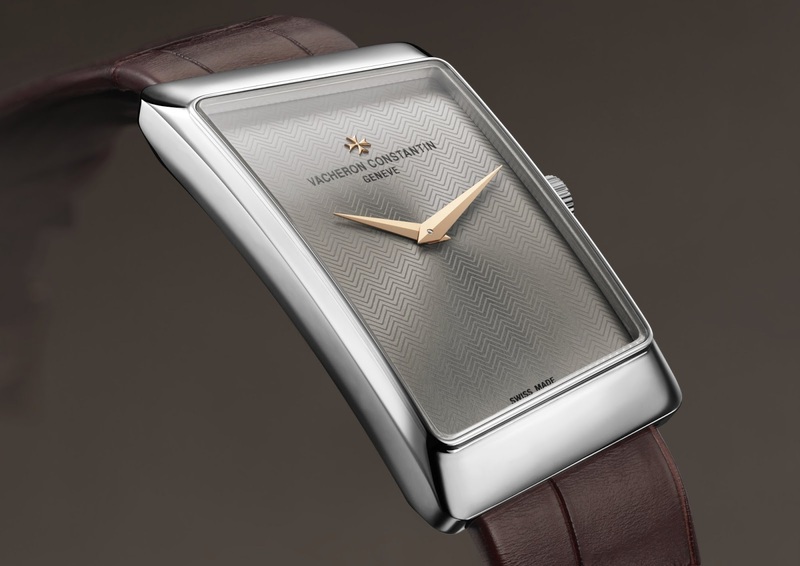 For the opening of its first store in Paris, located at 2 Rue de la Paix, Vacheron Constantin revisited its iconic asymmetrical model Prestige de la France that was introduced in 1972. Like the 1972 creation, the new 1972 Prestige displays a balanced asymmetry that emanates elegance and harmony. 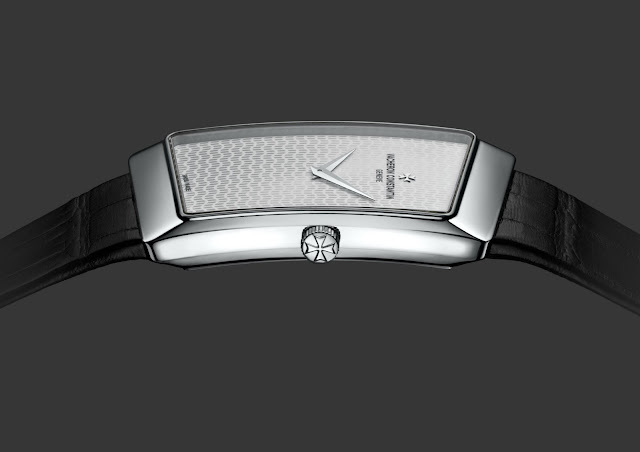 Made of white gold, the new 1972 Prestige also houses a precious ultra-thin hand-wound mechanical movement. Following the principles of the golden section, the dimension of the longest side of the case, divided by the length of the sapphire crystal on the opposite side, equals 1.618 – the famous golden section that appears in several of the greatest successes in the history of art and architecture, from the facade of the Parthenon in Athens to Le Corbusier’s Modulor. This restrained silhouette is further set off by the polished white gold case. 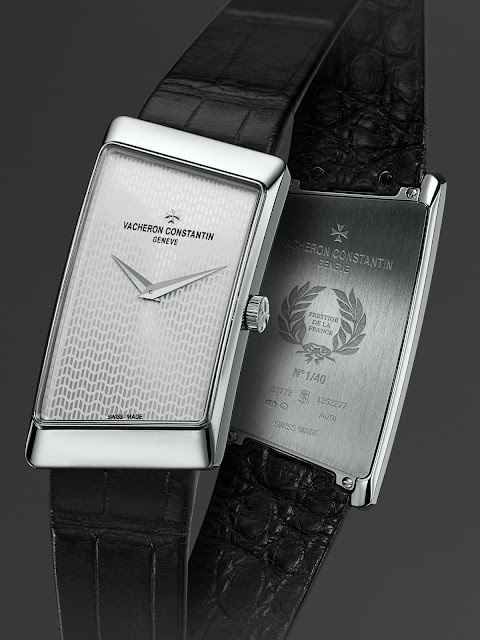 The 1972 Prestige has a cambered profile that reiterates the arched dial and sapphire crystal. For a highly sophisticated touch, the grey satin-finished sunburst dial features subtle chevron motifs accentuated by two pink gold dauphine hands. At its heart beats Vacheron Constantin’s Calibre 1003, an extraordinary mechanical movement. Calibre 1003 was developed starting in 1952 and introduced on the company’s two-hundredth birthday in 1955. To this day, it remains the thinnest mechanical hand-wound movement on the market with its 1.64 mm thickness. The bridges and the plate are made of 18K gold. Despite its minuscule size it has a power reserve of over 30 hours. It is meticulously finished: applying the Côtes de Genève motif, circular graining and bevelling of the components, and drawing of the steel parts is all done entirely by hand. The white gold case is water-resistant to 30 metres. A precious brown alligator leather strap and the famous Poinçon de Genève (Hallmark of Geneva) add the final touch to an exceptional piece. A second version of the 1972 Prestige is characterised by a silvered dial more contrast in shades of black and white and a glossy black strap. Unveiled for the opening of Vacheron Constantin’s new Paris shop, it is offered in a limited edition of 40 pieces as a boutique exclusive. 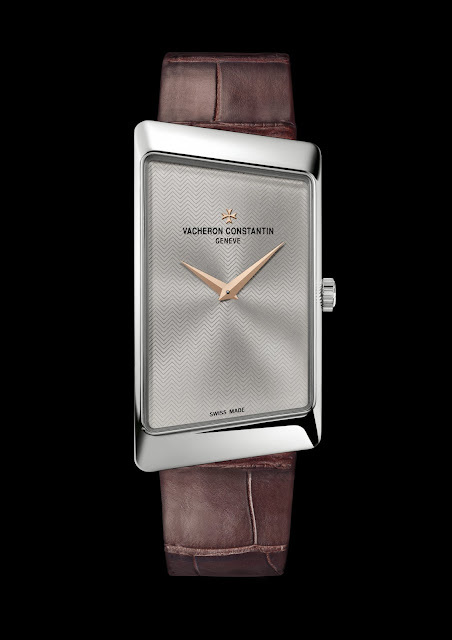 For the opening of its first store in Paris, located at 2 Rue de la Paix, Vacheron Constantin revisited its iconic asymmetrical model Prestige de la France that was introduced in 1972. 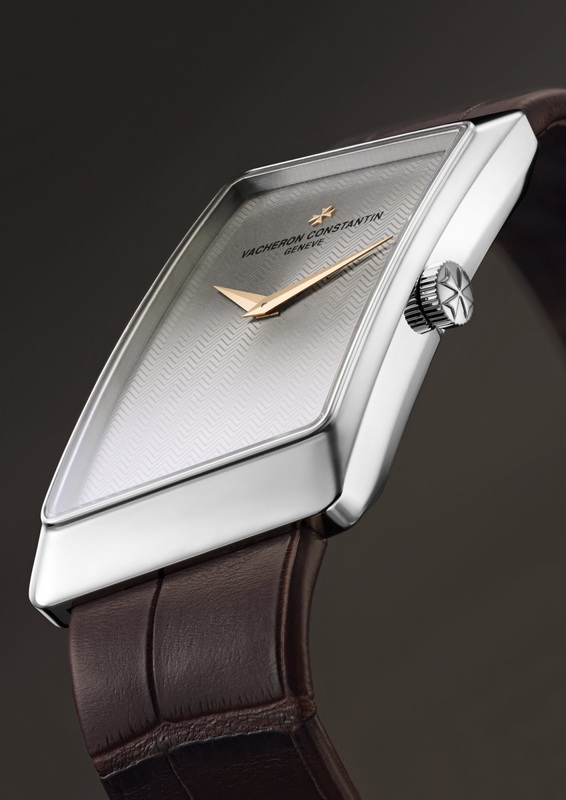 Like the 1972 creation, the new 1972 Prestige displays a balanced asymmetry that emanates elegance and harmony.